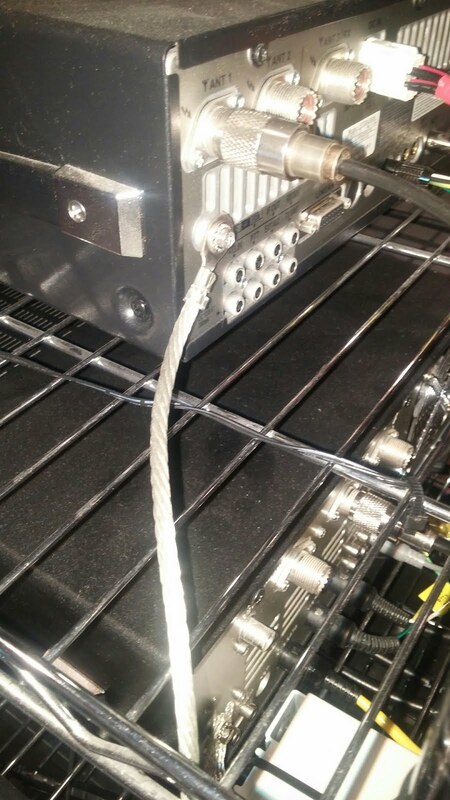 I can ground the equipment in the rack with either 1/4 stranded SS cable or 1" tinned copper strap. 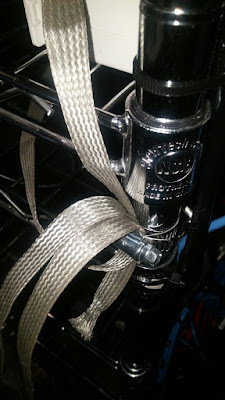 The straps would terminate on one leg of the rack held in place by a hose clamp. 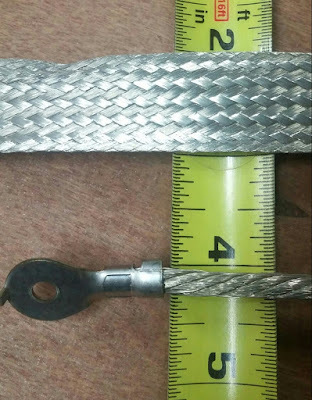 A single 1" strap would continue on to the wall plat where it would be securely attached with a stainless steel machine screw. A 1/4" cable would be attached to the ground lug on each piece of equipment and would all be bound together at one point on the rack with a SS machine bolt and nut. 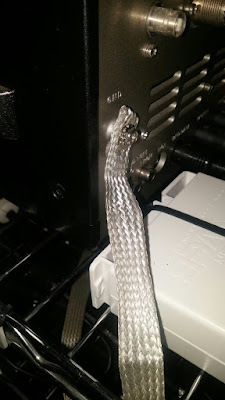 A 1" strap would also be attached at this point and would continue on to the wall plate. The question is should the 1" tinned copper strap be used throughout or a combination of cable and strap?